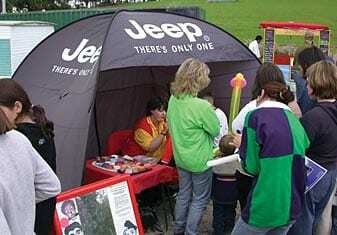 Outdoor banners and display stands are the backbones of advertising at sporting events and outdoor exhibitions. 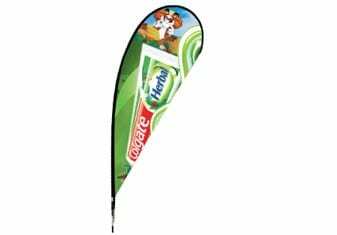 Compare them with other traditional advertising options and you will easily see why banner displays mean effective advertising at bargain prices. If you make the right choice for outdoor banner displays, you will have an advertising tool that you can use for many years. Take a look at some of the critical aspects of outdoor displays. i: Robust, stable and have the ability to withstand the elements without breaking, tearing or fading. ii: Lightweight, portable and easy to assemble and dismantle. iii: Attractive and visually appealing to grab attention even from long distances. Apart from being environment friendly, polyester fabric has many other advantages. Knitted or non-woven polyester fabrics are the best options. Knitted fabric is lightweight and can handle wind much better because it allows it to pass through. Non-woven polyester is tough and will be more durable. 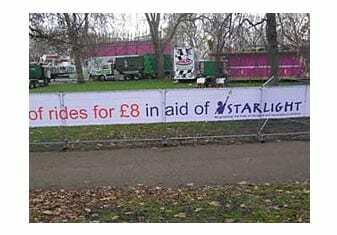 Fabric banners are much easier to handle, transport and install without damage when compared to PVC banners. An A-Frame is a collapsible display that holds two banners which are positioned like the letter ‘A’. They are available in many different sizes and styles. 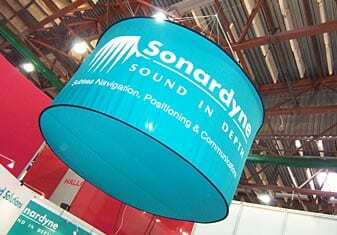 They are great options for directional displays, sporting events, trade shows and promotions. Their lightweight nature makes them very safe to use at the edge of sporting grounds. They will not get damaged or cause injuries if someone runs into them. Flying banners are simple displays that use a banner mounted on a stem. They can be installed using stakes to soft ground, snow or grass. You can use them with a stand on hard flat surfaces. You can also opt for double-sided banners, which look the same from either side. The banners are replaceable and this allows you to use the same display hardware for many different events. They are similar to wing banners, but come in a flag shape. They can be used either singly or in a group for outdoor marketing. When you want to keep a sign on the street or in front of an outlet for a long period of time, then this banner could be an ideal choice. It is a banner mounted on a circular frame. This disc shaped display can then be fixed on a wall or to a pole using brackets. The entire disc rotates with the wind and attracts the attention of passers-by. The display can be single or double-sided. It can be mounted at a height to make it tamper-free and give good visibility from a distance. Setting up a temporary shop or a registration desk. As shelters during sporting events where the players can rest. A place from which prizes can be distributed. Outdoor banners are durable, cheap and effective advertising tools. If you select good quality displays, you will get many years of trouble-free usage. In the long run, quality displays are cheaper even if you have to pay a little more initially. Learn more about FLEX display outdoor banners and what we can offer your business or contact us via the form below now, we’re here to help.